Keywords: Part II of the Extradition Act, extraditable person, extradition request, war crimes in Croatia, eligibility for surrender, detention without judicial assessment, judicial power of the Commonwealth, no evidence model. The Australian High Court is known for being understandably protective of the judicial power of the Commonwealth. And when such power is brought into question by the complex issue of extradition, it is inevitable that cases will be carefully heard and examined by our highest court. In Vasiljkovic v Commonwealth (2006) 227 CLR 614, Mr Vasiljkovic, a naturalised Australian citizen, was subject to a seemingly routine extradition request from the Republic of Croatia. However in the face of his executive detention pending extradition, a maelstrom of legal issues arose. What might have appeared at first glance to be a simple extradition process evolved into a complex interrogation of the judicial power of the Commonwealth. Mr Vasiljkovic was arrested and remanded in custody in Australia after a magistrate determined he was an extraditable person under the Extradition Act 1988 (Cth). Mr Vasiljkovic had allegedly committed war crimes in Croatia at a time of armed conflict between Croatian forces and Serbian paramilitary troops. It is important to note that in issuing a warrant for arrest under Part II of the Extradition Act 1988 (Cth) and determining eligibility for surrender to the requesting country under section 19 of the same, a magistrate is not exercising judicial power but performing an administrative function. On this and related bases, Mr Vasiljkovic sought a writ of habeas corpus from the High Court of Australia in its original jurisdiction to release him from custody. Under the separation of powers principle enshrined in the Constitution, the power to involuntarily detain a citizen is part of the judicial power of the Commonwealth outlined in Chapter III. Mr Vasiljkovic claimed that executive detention pending extradition without judicial assessment of the evidence against him usurped this judicial power. 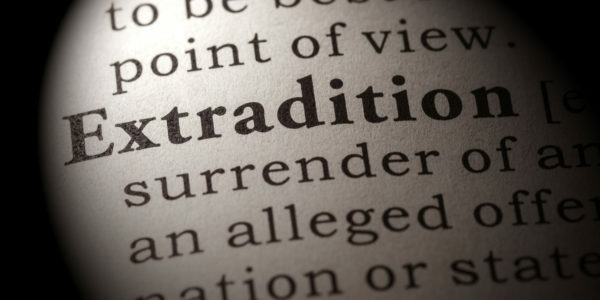 The Extradition Act 1988 (Cth) adopts a ‘no evidence’ model whereby the country requesting extradition need not provide evidence establishing a prima face case against the accused. Section 19(5) prohibits the magistrate from considering evidence of this kind. Mr Vasiljkovic argued that the processes in Part II were analogous to the committal process of an Australian criminal trial, and therefore an exercise of judicial power requiring consideration of any evidence proffered against him. Finally, Mr Vasiljkovic complained that the Extradition (Croatia) Regulations 2004 (Cth), which declare Croatia to be an ‘extradition country’ for the purposes of the Extradition Act 1988 (Cth), were not validly made under section 51(xxix) of the Constitution (external affairs power). He contended this was because there was no treaty between Australia and Croatia, and that a mere request from a foreign state did not make the subject matter of the request a matter of international relations. Is Part II of the Extradition Act 1988 (Cth) invalid to the extent that it confers a power to deprive an Australian citizen of liberty otherwise than in the exercise of the judicial power of the Commonwealth? Is executive detention of an Australian citizen, in the absence of a finding that there exists a prima face case against that person, invalid? Is regulation 4 of the Extradition (Croatia) Regulations 2004 (Cth) invalid because it was not made under s 51(xxix) of the Constitution or any other legislative power of the Commonwealth? The High Court majority, comprising Chief Justice Gleeson with Justices Gummow and Hayne, answered ‘no’ to all three questions. Justice Heydon agreed with Justices Gummow and Hayne but reserved the question whether detention pending extradition would have been valid had judicial review under section 21 of the Extradition Act 1988 (Cth) not been available. Justice Kirby in dissent answered ‘yes’ to the first question which would have upheld Mr Vasiljkovic’s challenge to his extradition. Although unnecessary, Justice Kirby would have answered ‘yes’ to the second question and agreed with the majority on the third question. What is the purpose of detention? Chief Justice Gleeson held that executive detention pending extradition was an exception to the general principle that the power to detain citizens is part of the judicial power of the Commonwealth. Rather than an exception, Justices Gummow and Hayne held that the processes in Part II of the Extradition Act 1988 (Cth) fell outside Chapter III requirements. The majority focused on the purpose of detention which was held not to be punitive as Australia does not ultimately bring the accused to trial. Extradition, not being part of the Australian criminal justice system, involves no adjudication of guilt or innocence. The purpose is to facilitate adjudication to be made in a foreign place and to prevent the risk of flight. This non-punitive purpose did not usurp the judicial power of the Commonwealth. Justice Kirby held that executive power to deprive Mr Vasiljkovic’s liberty without independent judicial consideration of the evidence against him was constitutionally invalid. The powers conferred by section 51 of the Constitution are expressed to be subject to the Constitution and therefore judicial oversight. The court unanimously dismissed Mr Vasiljkovic’s contention that Australian citizens are immune from executive detention. The protections afforded by Chapter III are not limited by any constitutional status. The majority again stressed that Part II is different in character to the committal process of an Australian criminal trial. Australia has no intention of determining the guilt or innocence of the accused. Chief Justice Gleeson held that the Constitution contained no express or implied evidentiary requirement that invalidated the ‘no evidence’ model. Because parliament can validly assign the role of determining eligibility for surrender, consistently with the Constitution to the judiciary, parliament can determine the criteria of eligibility. The court unanimously held that Part II of the Extradition Act 1988 (Cth) and the Extradition (Croatia) Regulations 2004 (Cth) fell within the scope of section 51(xxix). The power under s 51(xxix) to make laws with respect to external affairs does not depend on the existence of a treaty. Further, the subject matter of extradition is directly concerned with international relations. In Vasiljovic and similar cases, the High Court of Australia has tended to scrutinise closely any claim that judicial powers are either absent or overextended. Yet when an extradition request is made based upon allegations arising from conflict – such as the war in Croatia – it is only reasonable that the process be carried out with utmost respect for personal freedom. 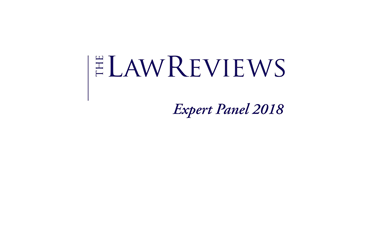 Whether the question is a simple one of extraditable persons, or a multi-faceted web of constitutional and human rights aspects, it is essential that all relevant legal requirements are understood.